Recently Google increased the amount of characters it displays in search results to 330. You can think of these snippets as little text ads that should be written in such a way to entice one to click the search result link. In the past Google would only display up to 160 characters, now it’s much longer. The snippet text can maybe be sourced from your Meta Description. The description should be written to summarize the page’s content. Optimizing the Meta Description is an important element in basic SEO. 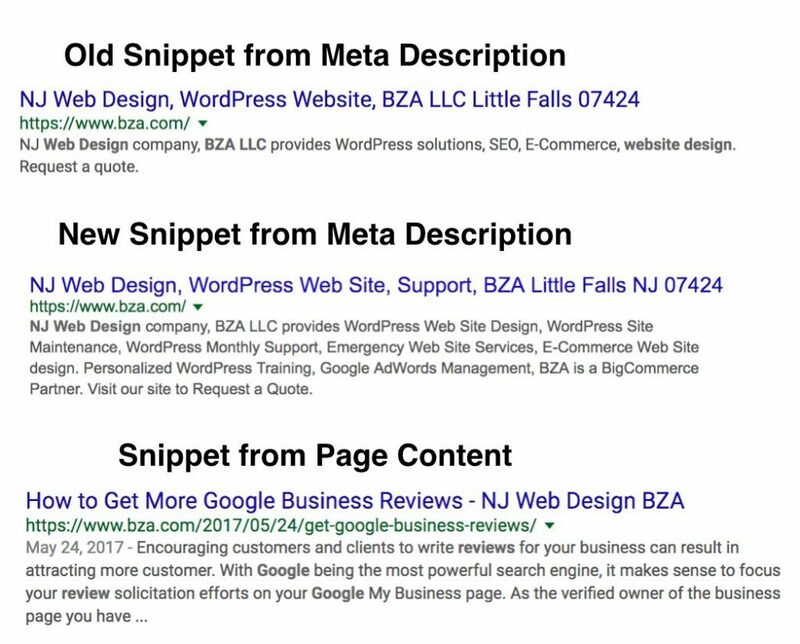 But sometimes instead of displaying the Meta Description,Google will display a “relevant paragraph” for a particular search query within a page, and then display that paragraph as the snippet. According to Yoast, a leading SEO plugin developer, you can now expand your Meta Description up to 320 characters. As a best practice make sure your Meta Description contains search-for keyword phrases. 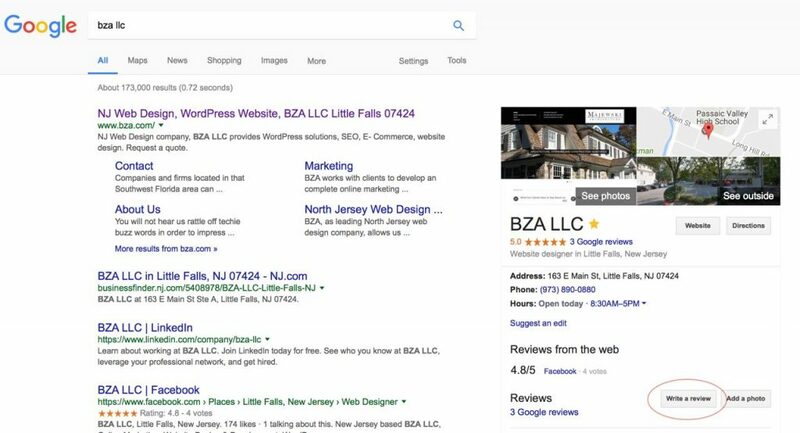 Because Google may display a paragraph from your page to use as a snippet, it’s more important then ever that your content is well written, descriptive and contains your targeted keyword phrases, without being spammy. Next on your to-do list is to update the Meta Description for each of your pages. Encouraging customers and clients to write reviews for your business can result in attracting more customer. 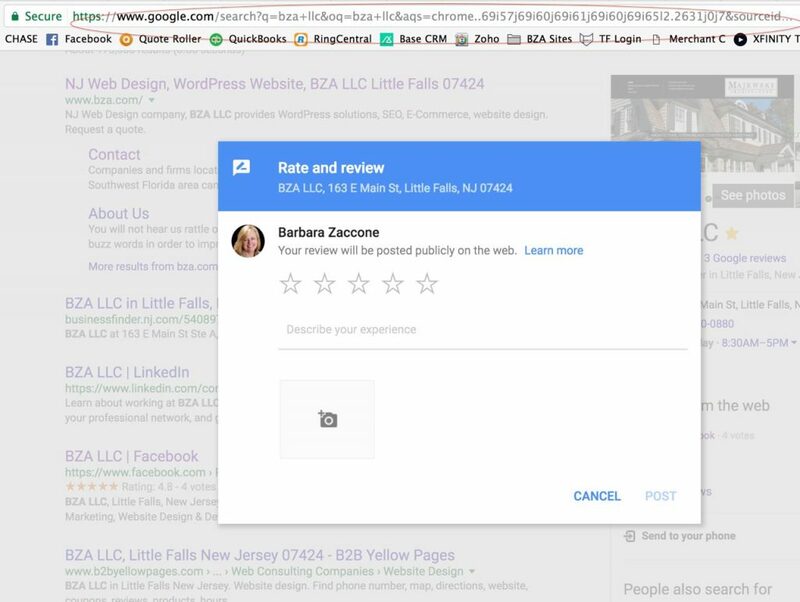 With Google being the most powerful search engine, it makes sense to focus your review solicitation efforts on your Google My Business page. 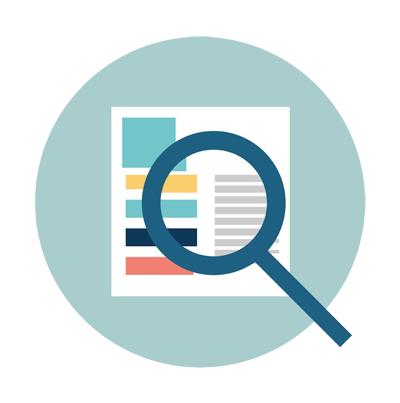 As the verified owner of the business page you have the ability to manage your own information and control control what appears in maps and search results. The shortest path to getting a review is making it simple and easy for customer to leave a review. 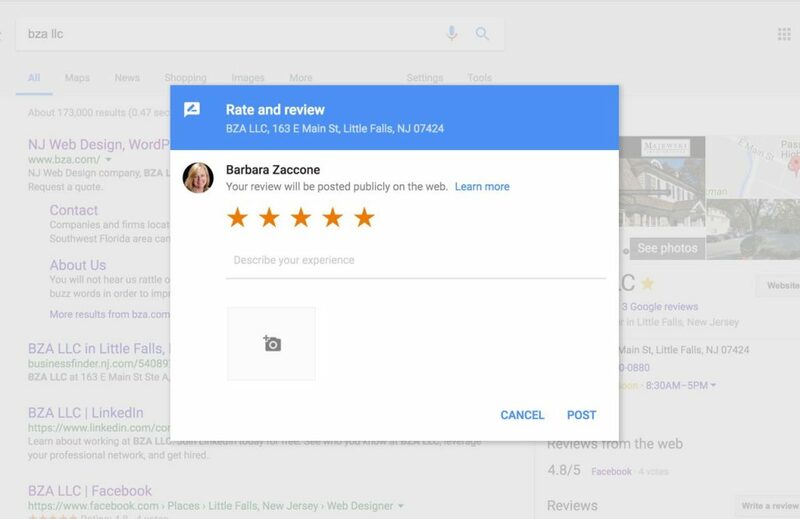 This is accomplished by providing the customer with a link to your Google My Business page review form. The last digit which is a 3 controls the style of the review pop-up box. If you change the 3 to a 1 then the pop-up box will contain your current reviews. But if you add a 5 to end of the URL (…3,5,) this will pop-up the review box and already fill in the 5 stars. Now, all the customer has to do is fill in the comment field. I invited you to click on any of the BZA review links above to write about your experience in working with BZA. Wishing you many happy reviews. The Hearing Group in West Orange New Jersey, provides audiological evaluations, aural rehabilitation including hearing aid dispensing and repairs. The Hearing Group, a long time client of BZA, had an early WordPress website. At the time mobile websites did not exist. 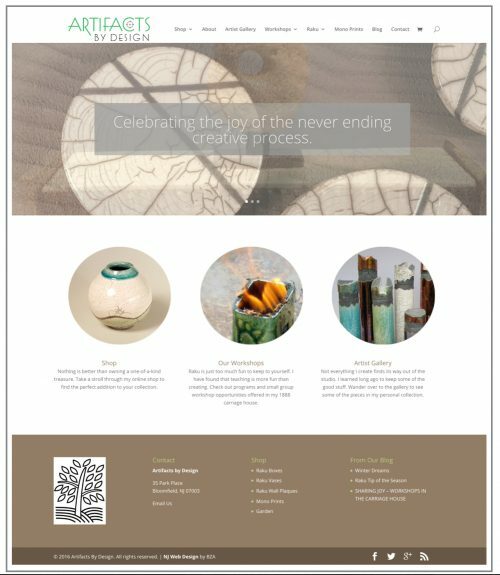 As a short term solution the client had a separate mobile website built. This was problematic as now they had two websites to update. 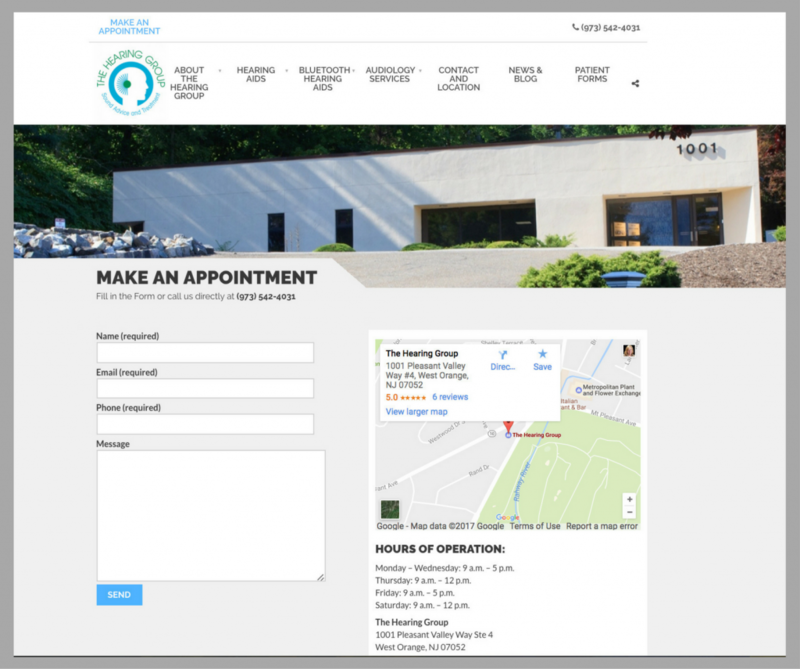 BZA built the new site utilizing a premium WordPress medical related theme. 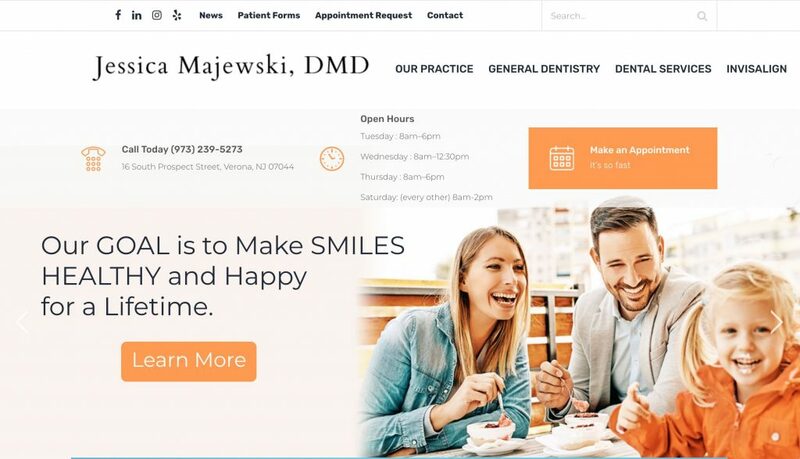 We customized the theme to the client’s branding and added several new features that both educates and engages patients. BZA provided personalized training utilizing the client’s own WordPress Admin Dashboard so updates can be easily performed by in-house staff. How to Maintain Your WordPress Website. What You Need to Know. For worry-free maintenance and support, many organizations choose to have their website professionally managed. Peace of mind and hassle free. Best prevention for getting your site hacked. A functioning website. A broken site looses revenue. Increase search engine traffic. A broken site hurts traffic and search engine ranking. If you think of WordPress as a cloud based solution, you can easily understand the benefits of outsourcing support and upgrades. Popular business cloud based solutions include Quickbooks Online, Salesforce, Google Analytics, FedEx, Adobe Creative, Dropbox and more. These application services remove the business owner or manager from the day to day maintenance of the application. According to Business Insider “Companies today use on average 16 cloud apps at work”. So WordPress managed services are like any other managed service solution. 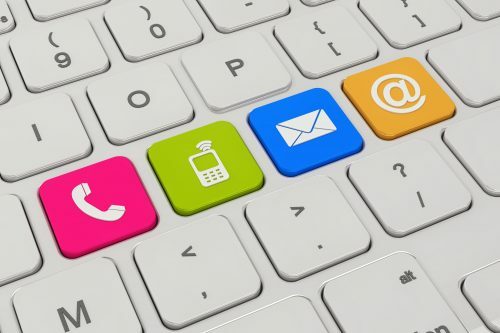 BZA’s WordPress support services can eliminate site maintenance burden. Not only will this save you time and money, but you’ll have a quality website that represents your business. The result _ giving you more time to focus on your business. The best time to get started in now. Artifacts by Design, ceramics studio run by Peter Syak, produces gallery-quality Raku, custom-made ceramic tiles, functional tableware, pots, bowl, wall plaques and more . In addition to selling his Raku works of art, Syak also offers hand building and firing workshops at his studio in Bloomfield, New Jersey. BZA built the Artifacts by Design website on the popular WordPress platform. We selected WooCommerce, which is built to integrate seamlessly with WordPress. WooCommerce currently powers over 37% of all online stores. BZA provided personalized training on the WordPress and WooCommerce admin dashboard that allows the client to update the product catalog, process orders and print shipping labels. Be sure to check out his amazing artwork at Artifacts by Design. 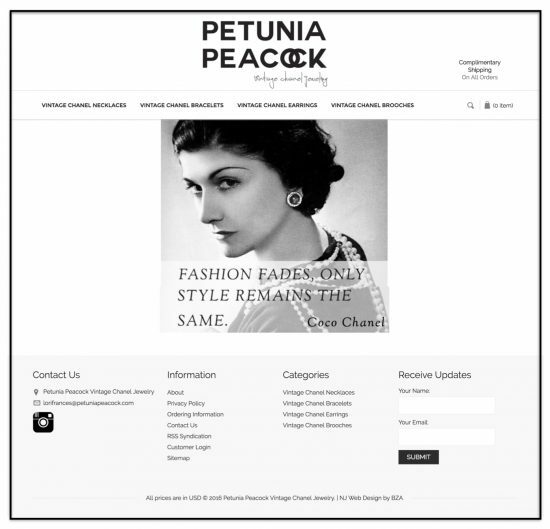 Lori Frances, owner of Petunia Peacock turned her passion and love for vintage Chanel Jewelry into an business. As a collector for over 10 years, Lori is a expert in acquiring and selling authentic vintage Chanel jewelry. After extensive research Lori hired BZA to build to build an commerce website that would allow her customers to securely purchase jewelry within her collection. 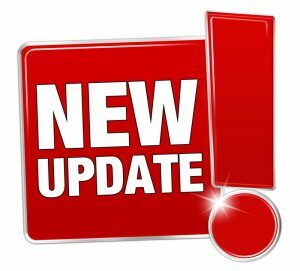 As her collection is alway changing, it was important that Lori be able to update inventory in real time. BZA provided personalized training that allowed Lori to easily update her online collection of jewelry. Built on the BigCommerce platform, the site is mobile friendly and has many features typical found on enterprise solutions. BZA is an authorized BigCommerce Partner. BigCommerce is the leading ecommerce platform for fast-growing and mid-market brands. According to analysis conducted by market research firm Ipsos, online stores built on BigCommerce grow approximately twice as fast as the ecommerce industry average. 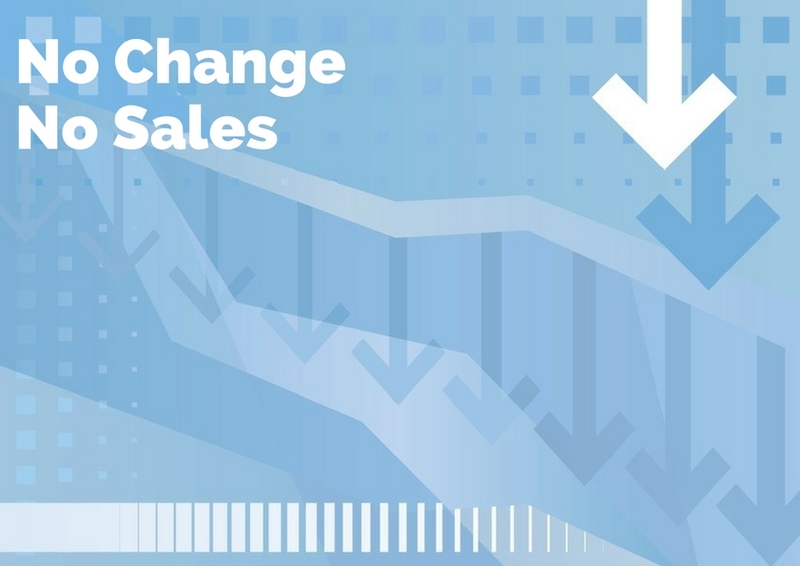 BigCommerce’s cloud-based platform enables merchants such as Dorco, Gibson, Martha Stewart, Saint Heron, Toyota and Travelpro to cost-effectively grow their businesses with more traffic, higher conversion and superior performance. BigCommerce supports clients from its headquarters in Austin, Texas, and offices in San Francisco and Sydney. For more information, visit BZA.com.